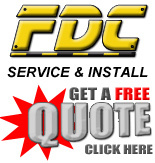 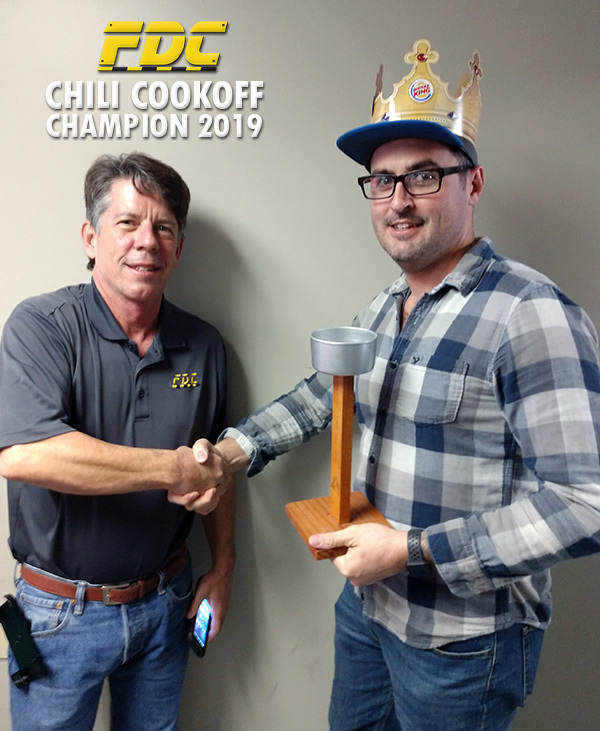 Each year or so, FDC’s corporate office in Melbourne holds its “annual chili cook-off.” Chili is judged on color, consistency, taste, and several other criteria. 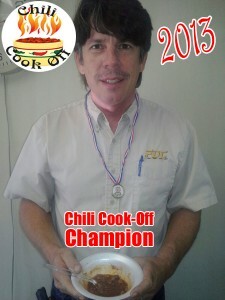 This year our “celebrity judges” came in and were given four different cups of chili to judge. Here is what the founder of our chili competition, Brian Proko, had so say about this year’s contest.